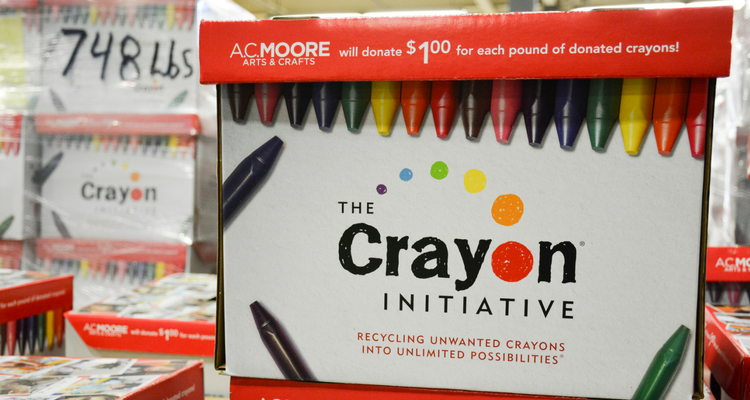 Berlin, NJ – August 24, 2017 – During yesterday’s “Share Your Colors” event at A.C. Moore’s headquarters in Berlin, NJ, hundreds of team members sorted through the more than 19,000 pounds of crayons collected for national nonprofit The Crayon Initiative. The pre-loved crayons will be upcycled into 95,000 new packs to be donated to children’s hospitals in the Greater Philadelphia Area including The Children’s Hospital of Philadelphia, St. Christopher’s Hospital for Children and the Children’s Regional Hospital at Cooper. 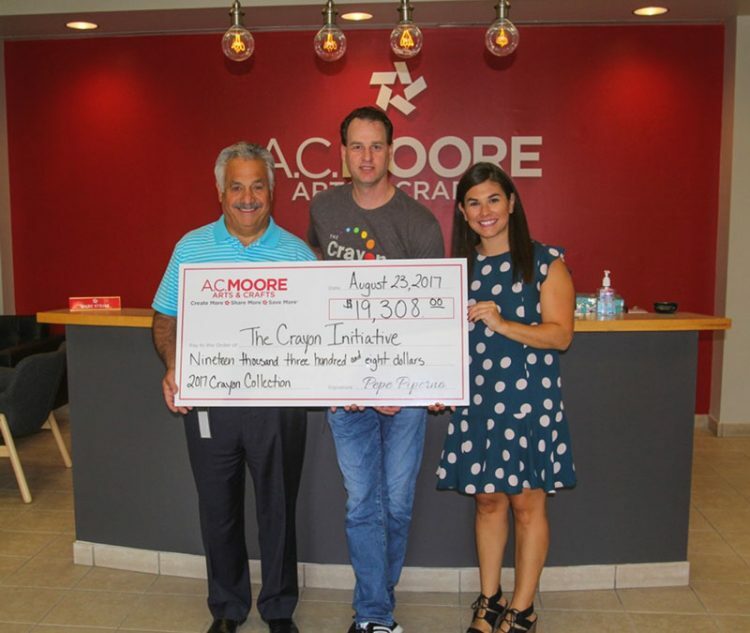 A.C. Moore Arts & Crafts also pledged to donate $1 for every pound of crayons collected, presenting The Crayon Initiative Founder Bryan Ware with a check for $19,308 to further the organization’s mission to improve the lives of hospitalized children through art and creativity. The Crayon Initiative is a national non-profit that recycles unwanted crayons into unlimited possibilities. The new crayons are created with a special mold, making them thicker and easier to grasp for young patients and those with special needs, and flat on one side to prevent them from rolling off hospital trays. The organization’s mission is to preserve the environment and enrich the lives of hospitalized children through art and imagination. The Crayon Initiative has collected 11.5 million crayons reducing environmental waste and donated more than 31,000 new packs of crayons to pediatric patients in 55 hospitals in 14 different states.